83 Inhabitants of Ypenburg send the completed return form. Together with 7X11 EGBG choose 20 people from all entries. At the selection some questions are more important than others: is the form filled out creative? Is the resident open to artists? Are residents interested in meeting? Does the completed form radiates pleasure? Is the form duly completed? 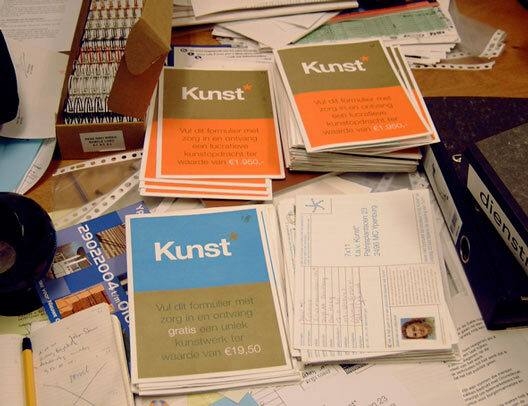 103 artists send the completed return form. Together with 7X11 EGBG selects 20 artists from all entries. Some questions play an important role in the selection. Is the form filled out creative? Are artist open to residents? Is an artist interested in meeting? Does the completed form radiates pleasure? Is the form duly completed? Following the responses, EGBG links 20 residents to 20 artists. The goal is to have residents and artists work together. EGBG presents the results of the investigation to the 20 selected residents. All information received is processed into a rash poster. Even residents who are not selected receive this free autographed artwork as a reward for the effort. 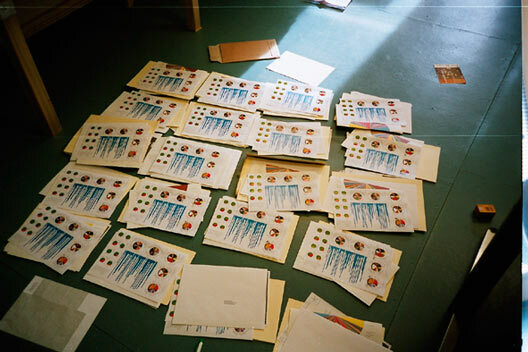 The residents receive a copy of the form that their artists have entered. The artists receive a copy of the form of its dweller. All participants receive a poster with the results of both surveys. The artists will make home visits to their residents. There are conversations about the wishes of the residents and the artists. Many residents visit the studio of the artist. Two people are put off due to circumstances. 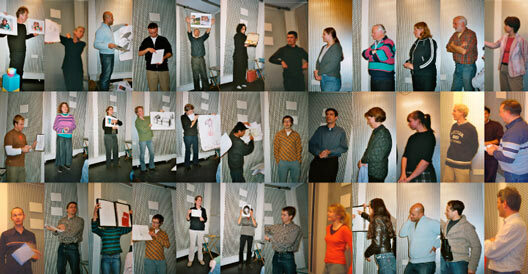 Each artist presents with his or her tenant the sketches for the artwork during a presenting evening in 7X11. The artworks are placed. 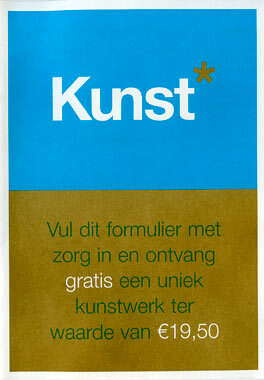 The residents pay rent to the Artoteek, the artists will send a bill. 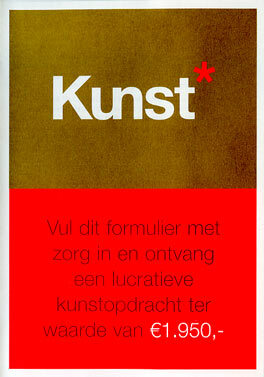 A publication containing the 20 works of art and the processes is published. 7X11 organizes an art trail along the participating households where the artworks can be viewed on site. 7X11 takes place in an exhibition about the whole process.